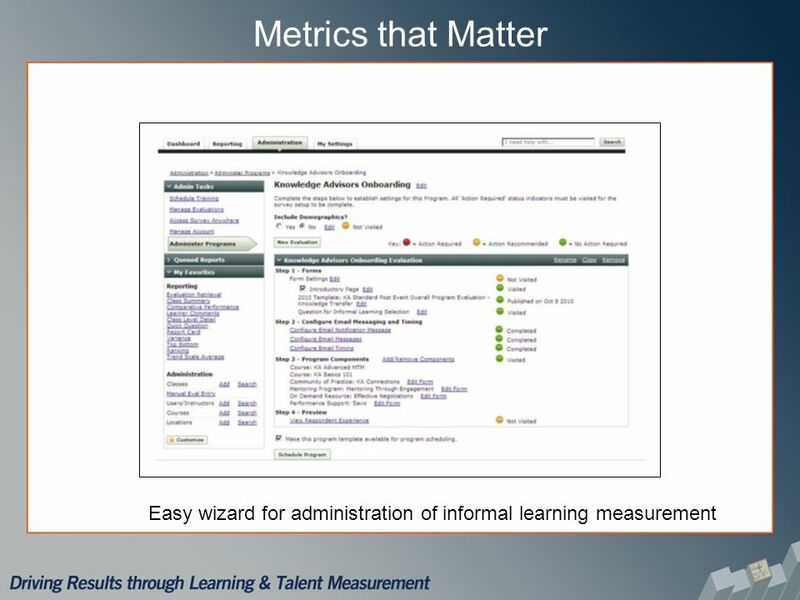 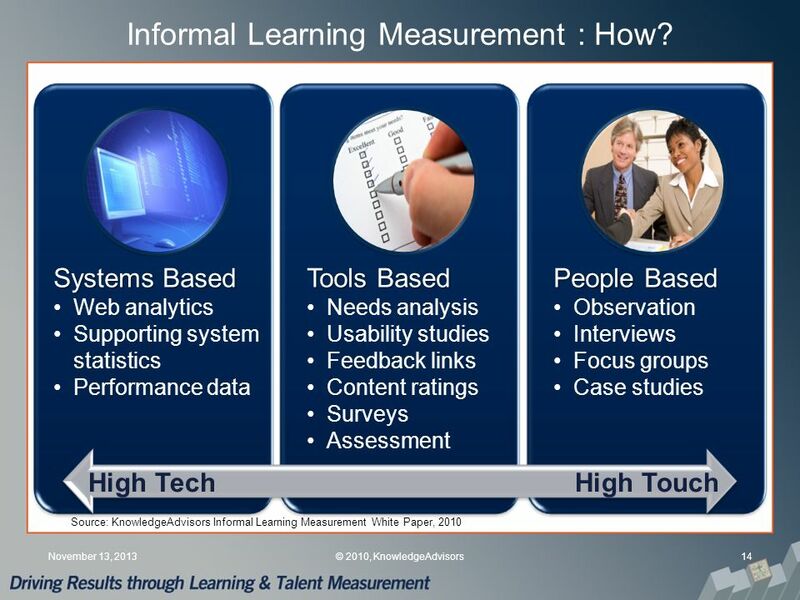 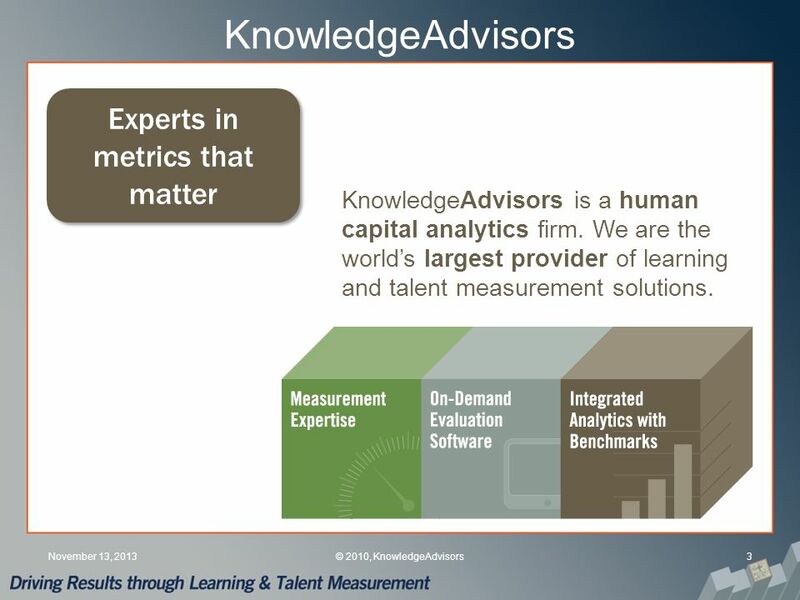 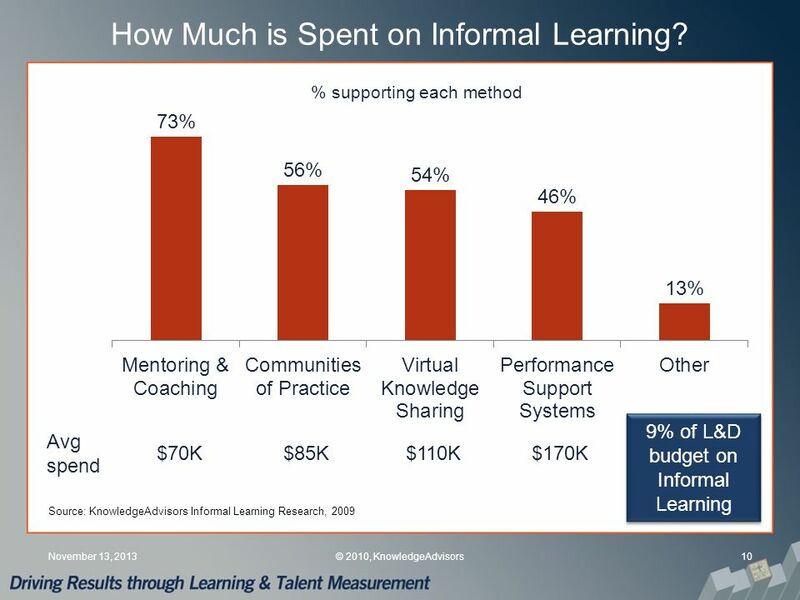 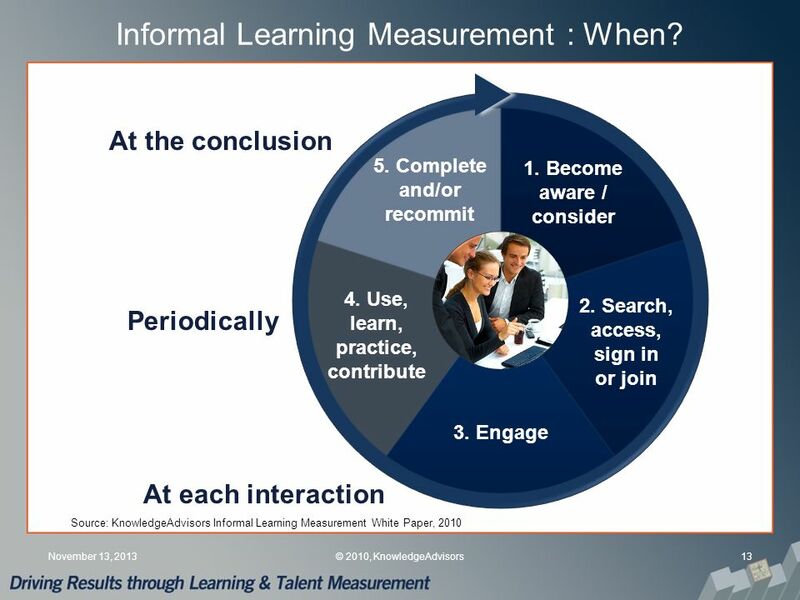 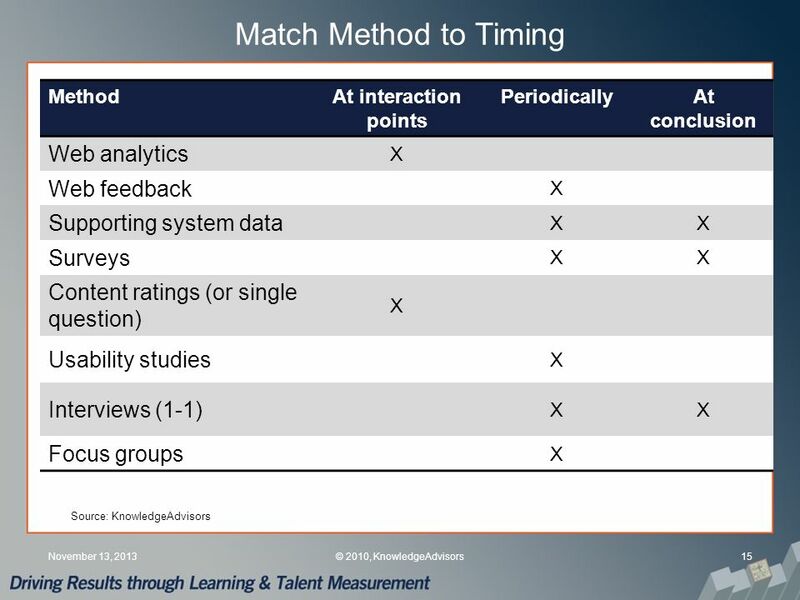 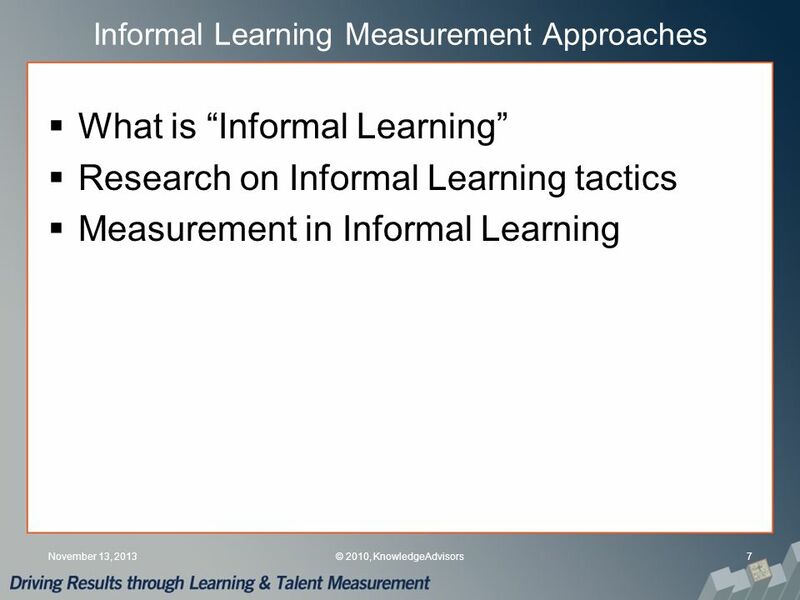 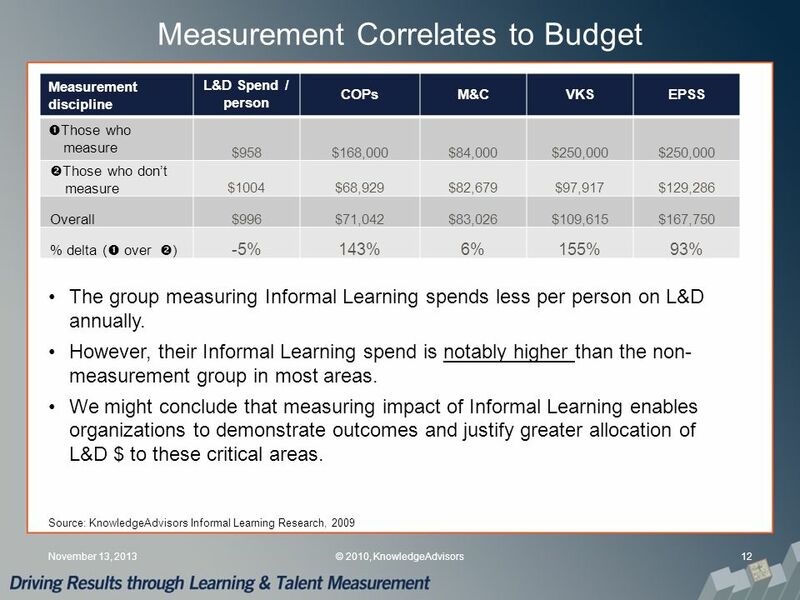 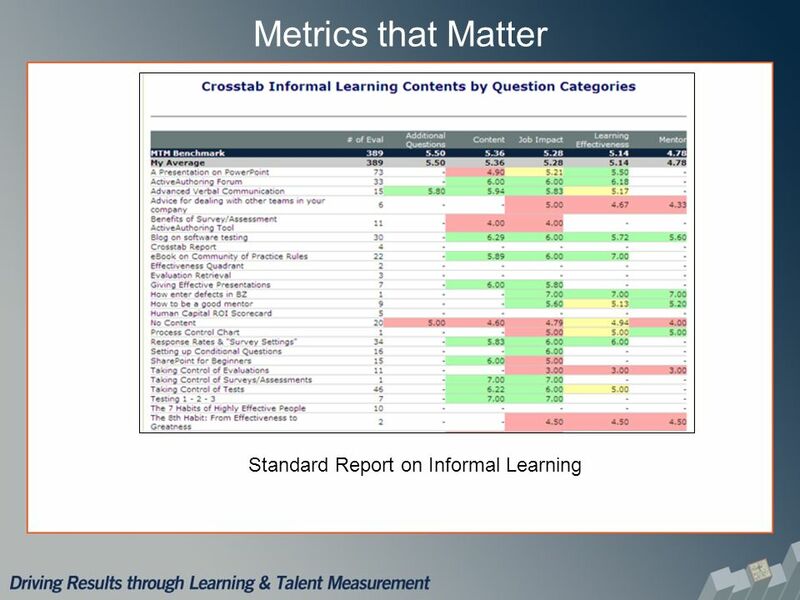 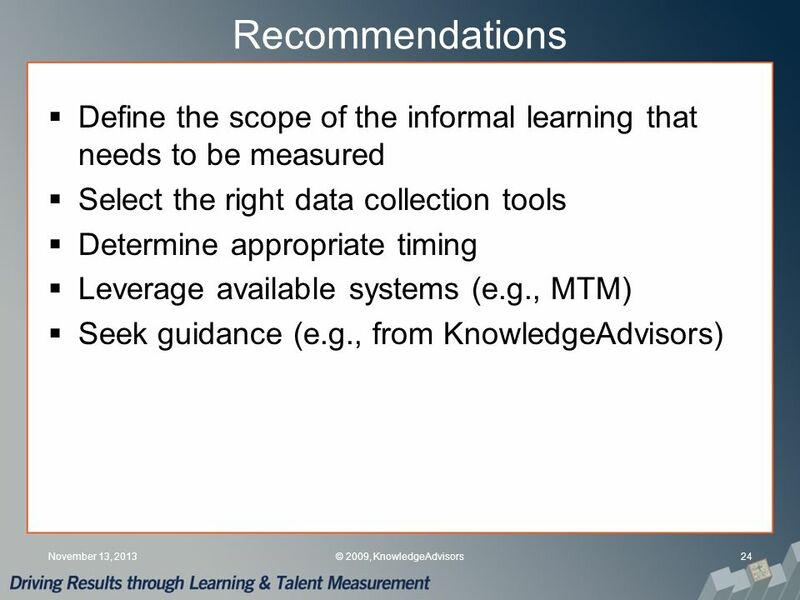 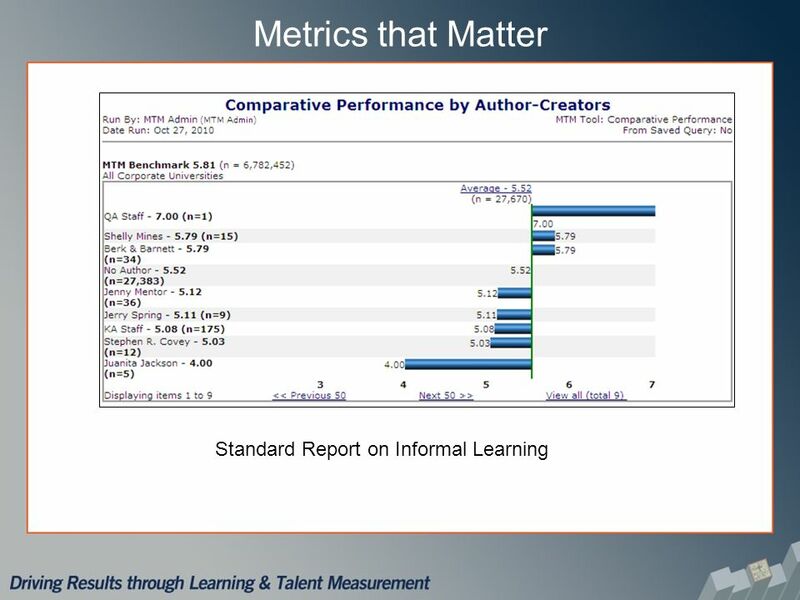 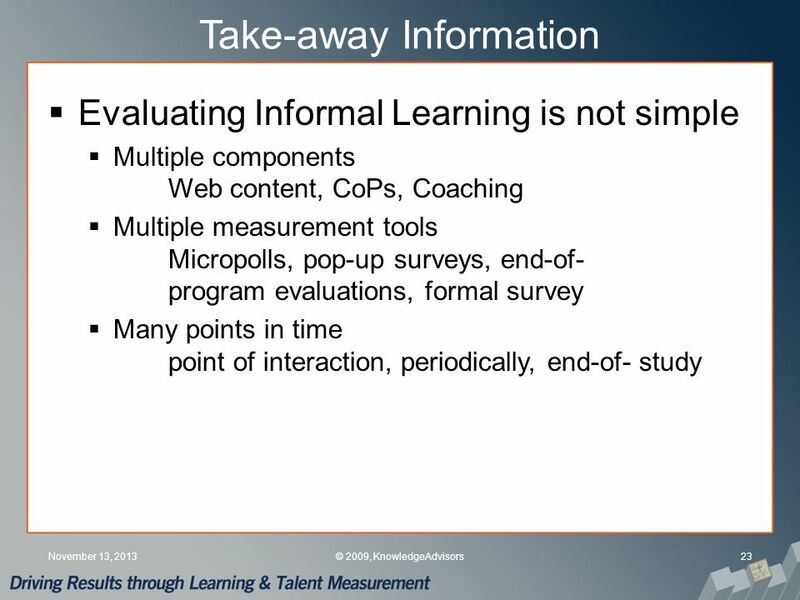 Informal Learning Measurement John R. Mattox, II, Ph.D. Director of Research KnowledgeAdvisors. 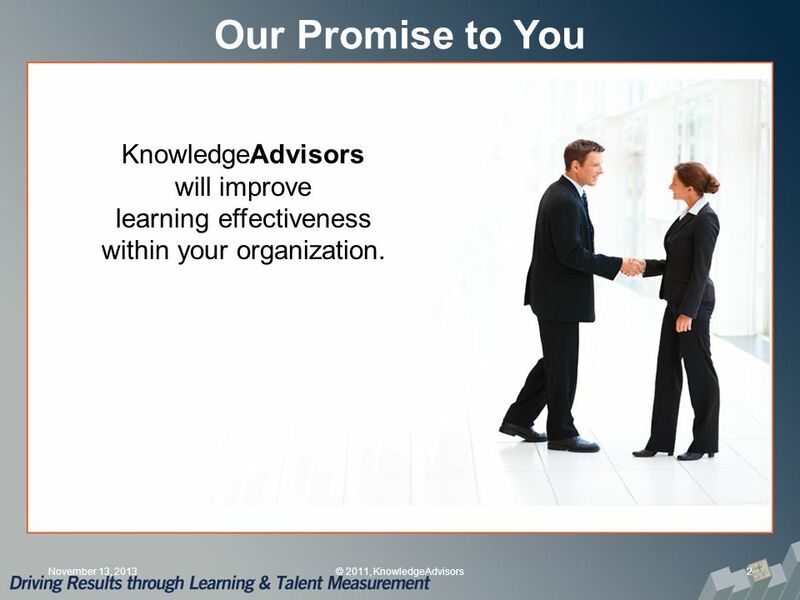 2 Our Promise to You November 13, 20132© 2011, KnowledgeAdvisors KnowledgeAdvisors will improve learning effectiveness within your organization. 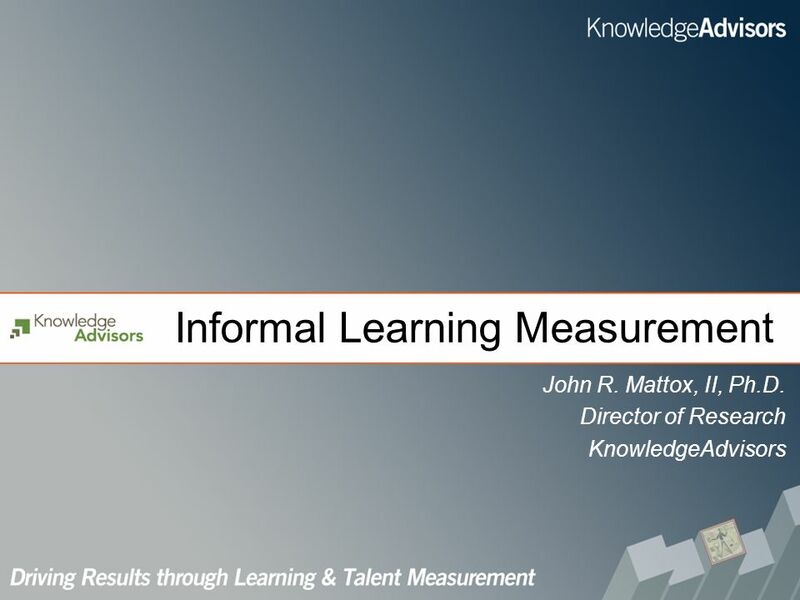 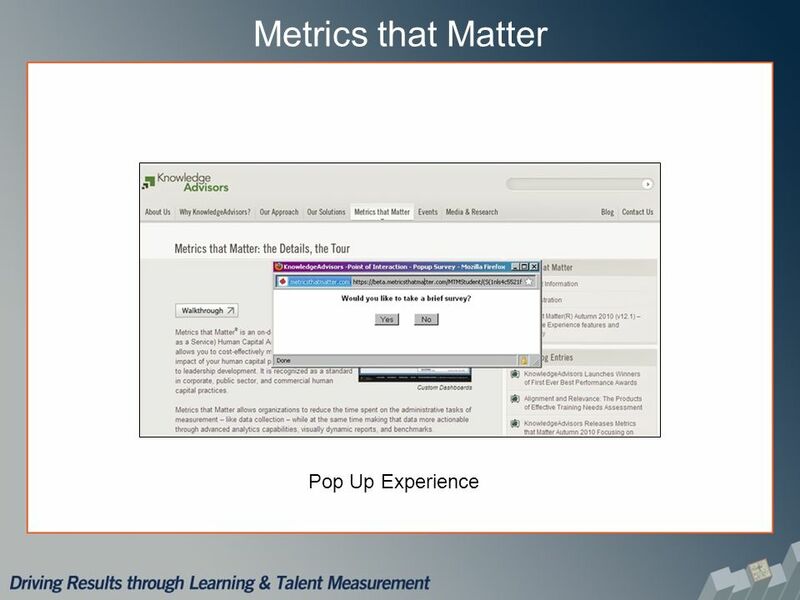 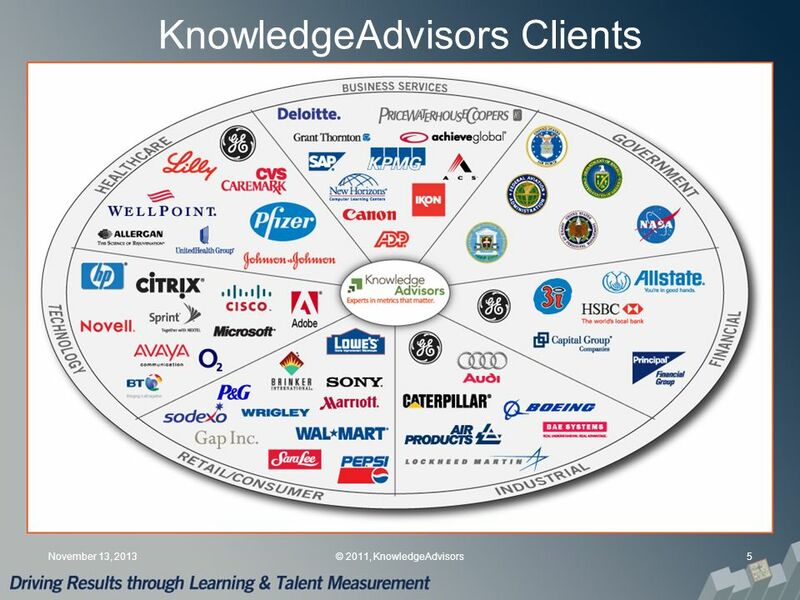 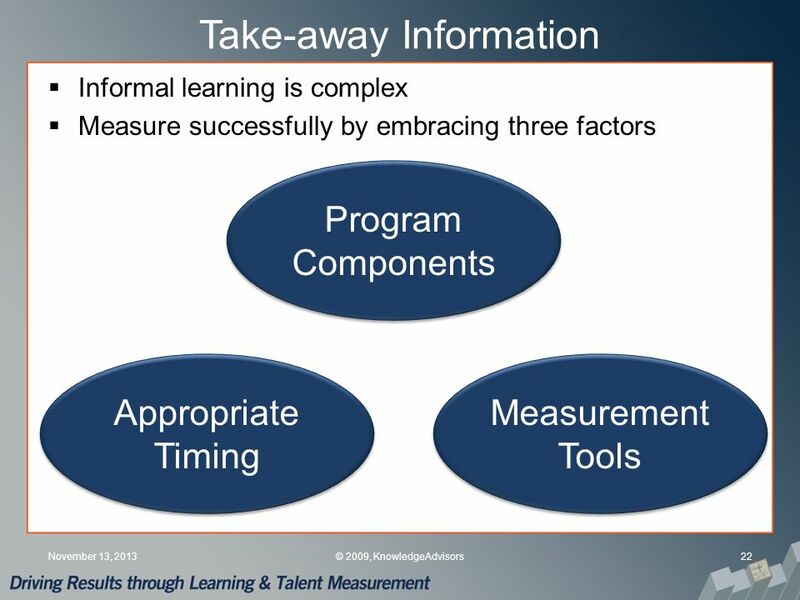 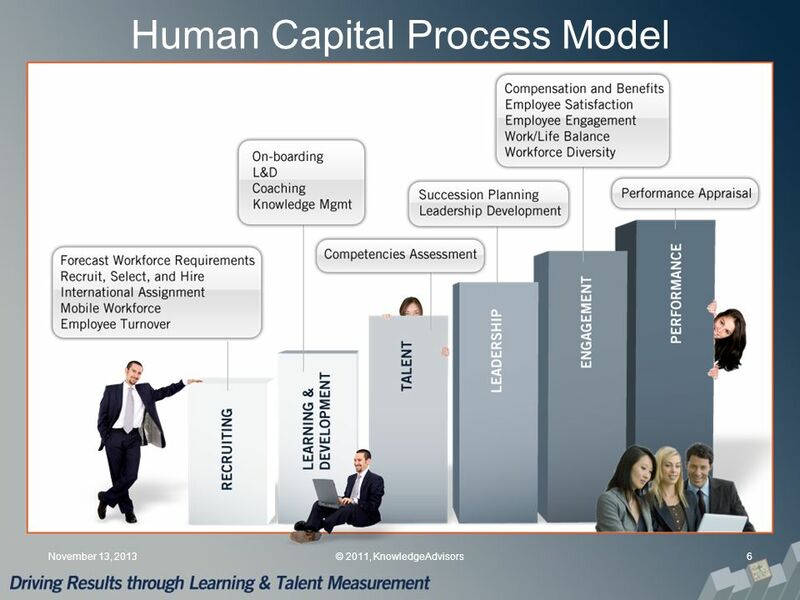 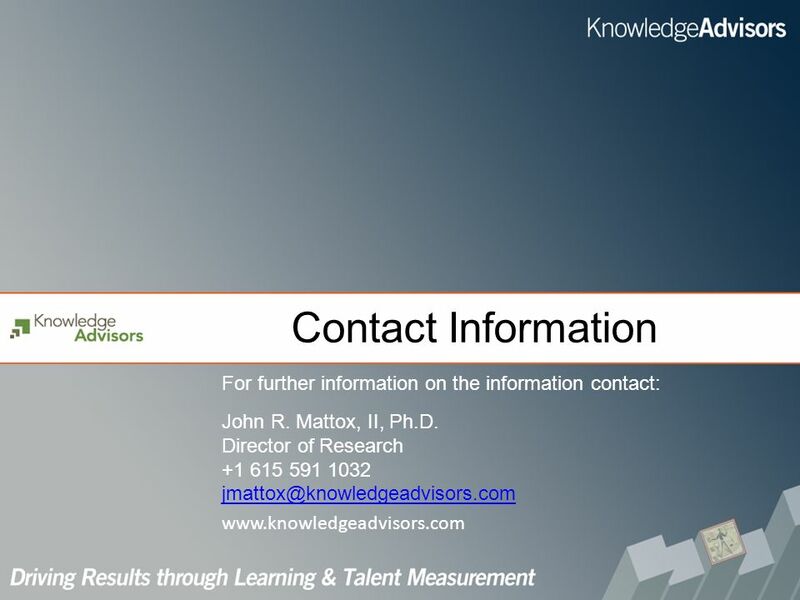 Download ppt "Informal Learning Measurement John R. Mattox, II, Ph.D. Director of Research KnowledgeAdvisors." 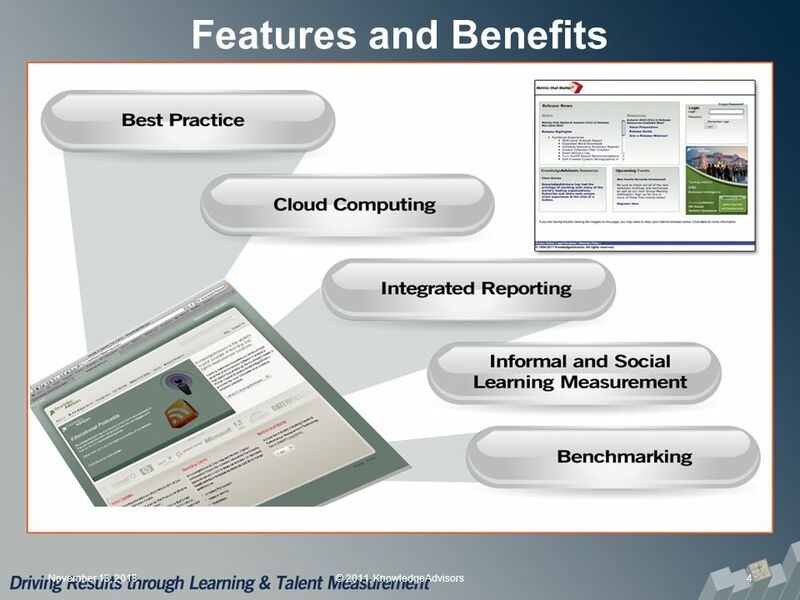 Coordinated Veterans Care (CVC) Program Social Assistance and its delivery through the Veterans Home Care Program 1. 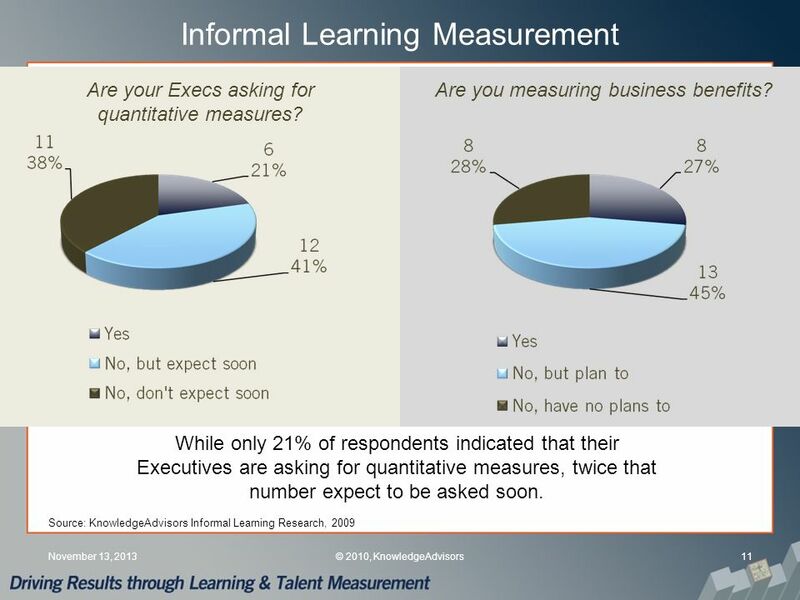 Introduction to Executive Reporting for CLOs Tamar Elkeles Vice President of QUALCOMMs Corporate Learning Center Version: 26-Feb-11. 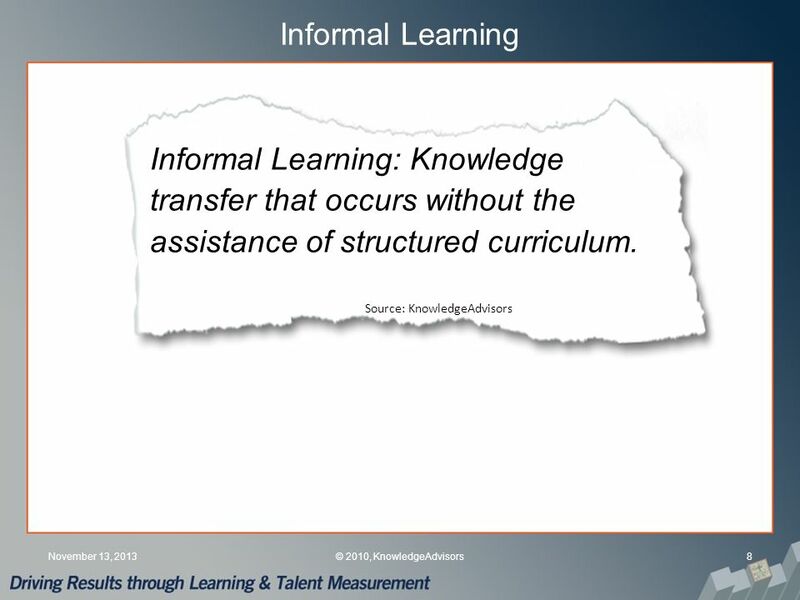 Help as Knowledge Management: Taking Care of Scarce Resources through Informal Encouragement JD Eveland, Ph.D. December 11, 2000. 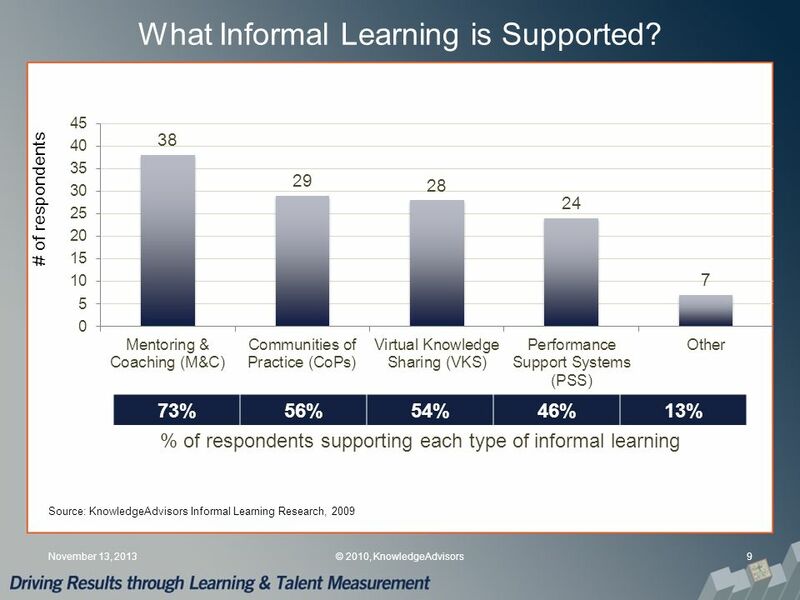 1 Leading the Learning Function September 14, 2009 Dr. Gretchen Van der Veer Director, Office of Leadership Development and Training Corporation for National. 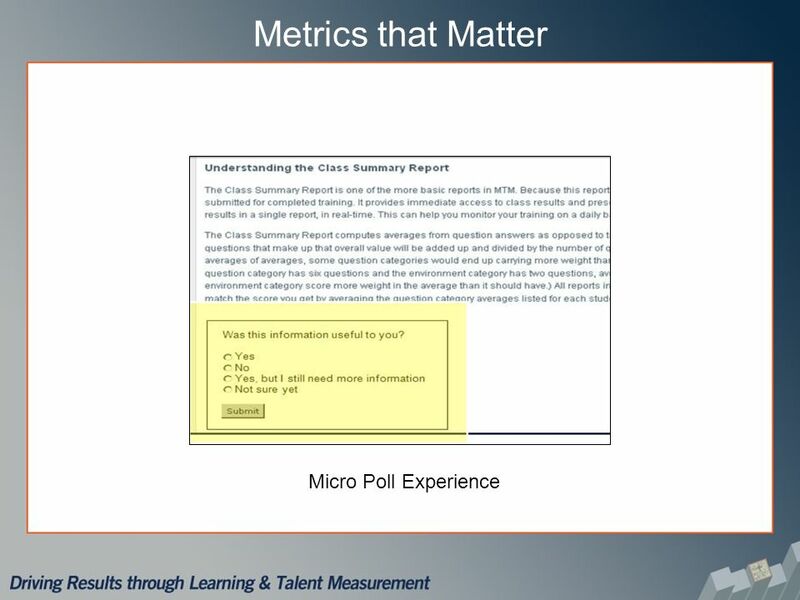 Junior Responses to BGS Questionnaire Their thoughts & reactions on chapter invitation & induction Support for this Webinar Provided By: Beta Gamma.